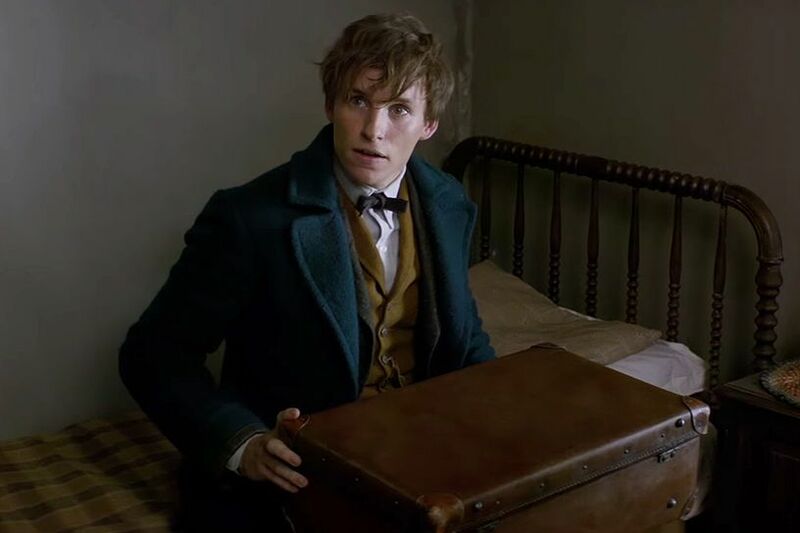 In 1926, wizard Newt Scamander is passing through New York City, carrying a case of magical creatures. When some of them escape, he is discovered by a disgraced Auror, a wizard named Tina who hopes to reclaim her police-like position by arresting Newt for being an unlicensed wizard. 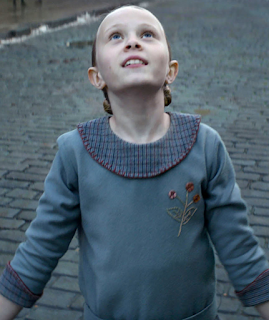 She is dismissed by the wizarding congress’ President Piquery and an Auror named Graves. Tina and Newt leave and work to repair some of the damage caused by Newt’s escaped creatures. A dangerous dark force known as an Obscurus has been unleashed in the city and has killed a Senator. 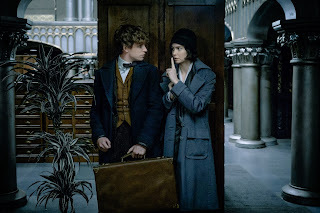 Believing that the Obscurus was one of Newt’s creatures, Tina brings him back to the magical Congress. The Auror Graves proclaims that Newt and Tina are both working in allegiance with an evil wizard. He orders their executions, but they escape and try to figure out what’s really going on. Meanwhile, there’s more to Graves than meets the eye. He is hoping to find the Obscurus for his own reasons. 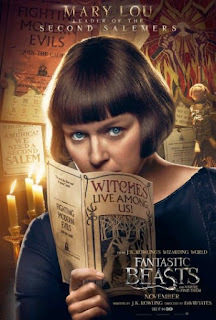 He believes that the Obscurus will be found in a large home where a cruel woman has adopted several children and makes them participate in her anti-witch propaganda. 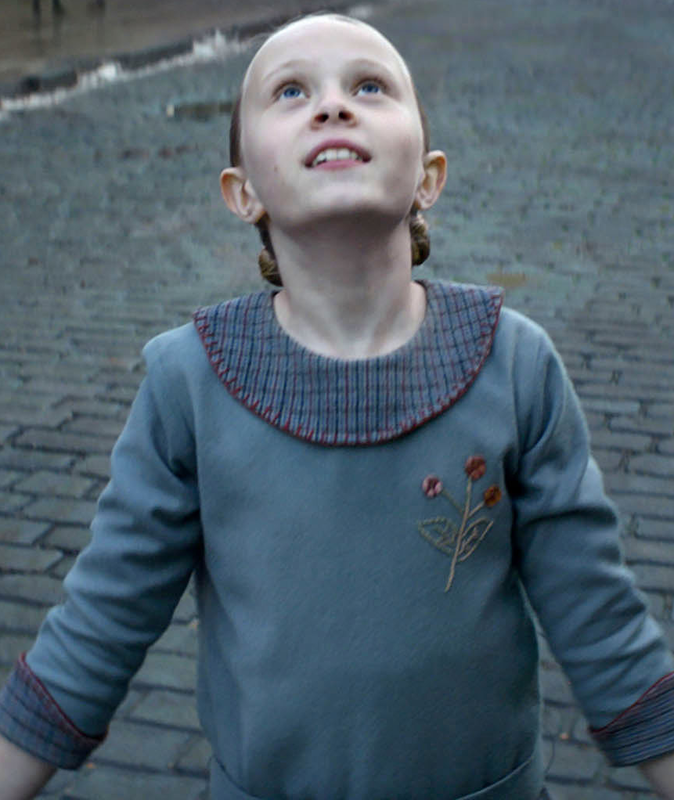 Graves has promised a teenager there, named Credence, that if Credence helps locate the Obscurus, Graves will free him from his abusive adoptive mother Mary Lou Barebone. When the true Obscurus is revealed, it kills nearly everyone in the Barebone home and threatens the much-valued secrecy of wizards. 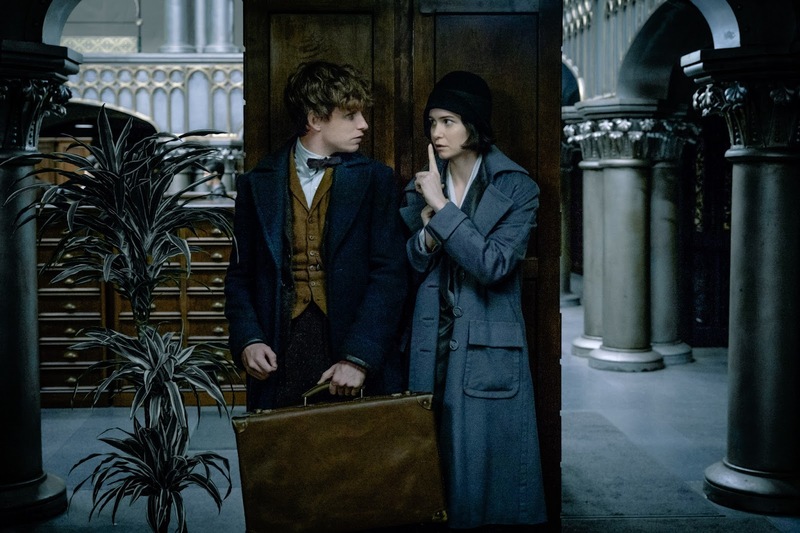 Newt and Tina will have to act quickly to ensure that non-magical people do not learn about wizards, and to ensure that everyone is safe from the dark power being unleashed on New York. A young girl was adopted out of a family of 12 siblings, and still misses her brothers and sisters. Credence is the host of the Obscurus. He has magical blood, and he hides his magical powers because the public does not accept wizards, and because his adoptive mother has made her life’s work to be the decrying of witches. The Obscurus exists because Credence has tried to control and hide his true nature. Towards the end of the film, the Obscurus kills Credence’s adoptive mother and nearly all of his siblings. Even when Credence is in a rage of anger and depression, he is able to be reached by the kind words of trustworthy adults. The wizarding community fears magical beasts, but Newt sees their potential and tries to educate the community on their beauty and worth. Credence’s adoptive mother is horribly abusive to him. He turns for safety to an adult who has taken an interest in him – Graves – but Graves is trying to use Credence for his own purposes, and betrays him when he believes Credence no longer is of use to him. Credence is physically abused by his mom; a scene in which she prepares to strike him with his own belt – and another scene in which she prepares to strike a small girl – could be triggers for kids who experienced abuse. An Obscurus is a dark force that arises when a child tries to conceal their true (magical) identity. Nearly all children with an Obscurus die by age 10, and before their death, the Obscurus can cause much harm to the world around them. I do see a potential analogy here – keeping your identity secret causes pain – the scenes where the Obscurus causes harm and death are awfully dark and could be scary to some kids. Newt has a small creature that he describes as having “abandonment issues.” Newt appears to sell the creature to a villain, and although he recovers the creature, it is obvious that the creature is mad at him. While it is interesting to revisit the Harry Potter world, this film has a darker feel than you might expect. The adoption connection is hatred and abuse by an adoptive mother who would hate her son even more if she knew his true birth heritage. Mary Lou may be the most hateful and most abusive adoptive parent I’ve seen in film. 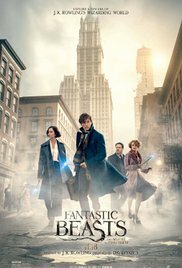 So, while Fantastic Beasts is an interesting and sometimes charming film – and I did enjoy revisiting the Wizarding World – it’s hard to recommend it for families touched by adoption, and for adoptive families that really do want to watch it, it should probably be reserved for kids 16 and up, and parents will want to process it with their teens after watching it. What secrets led to kids having an Obscurus? What do you think would have happened, if the kids had been able to embrace their magical identity? Which characters would Credence have been able to trust? Why would someone want to keep part of their identity hidden? What’s the difference between secrecy and confidentiality?